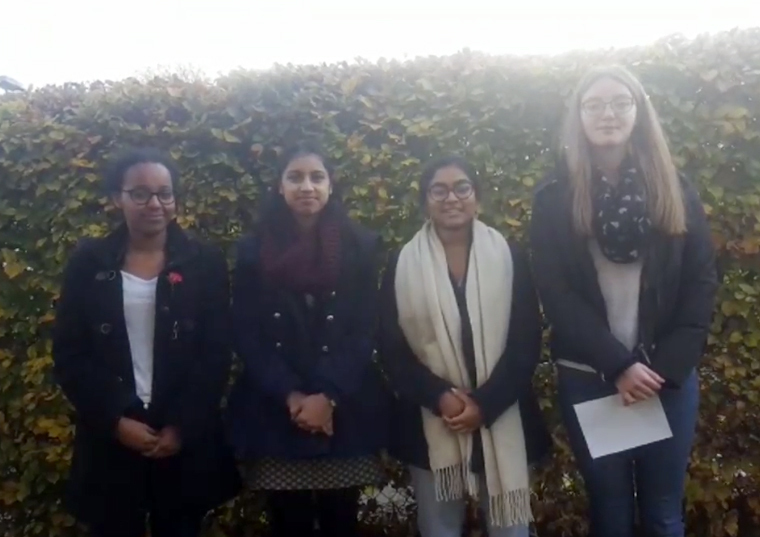 The students at St Gregory's Catholic Science College, Harrow, have been instrumental in supporting 150 guests on Sunday afternoons at Ealing Soup kitchen. The pupils have committed hundreds of hours volunteering their time helping out those who are vulnerable and in need of very fundamental assistance. Niamh has been part of her school’s Faith in Action group for five years, tirelessly attending weekly meetings and supporting events. She is also part of the Lourdes group, joining the fundraising to ensure all the pupils get there. Kelsea is a carer to her mum and younger sister, working hard without any complaint. And Kelsea spends most of her spare time working to help others in her volunteering work in the community. © Million Minutes, 604a Commercial Road, London E14 7HS. Registered in the UK as a company limited by guarantee (number 7442390).